5. Witnessing LeBron James’ incredible one-man show against Golden State’s one for all, all for one squad. 4. Even though it pissed off some sportswriters, getting to experience the Riley Curry Show as it evolved throughout the playoffs. 3. After LeBron James crashed head first into a television camera, showing up for Game 5 and realizing that the NBA didn’t overreact and I still had a courtside photo position. 2. Being able to watch my beloved Chicago Blackhawks throughout the Stanley Cup Finals on television with a beer in hand instead of through a viewfinder and plexiglass. 1. 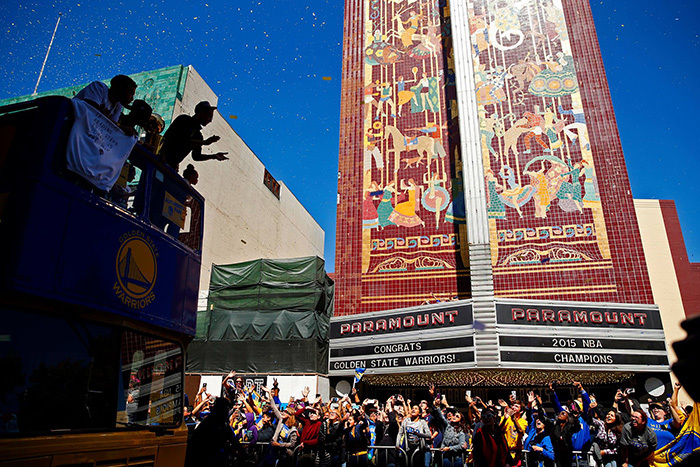 Being there as the oft-maligned City of Oakland celebrated its first NBA championship in 40 years with a Stephen Curry led parade down Broadway. Scott Strazzante is a staff photographer with the San Francisco Chronicle.